← EPA scientists suppressed information that fracking contaminates drinking water. Teammates of Dr. John Cherry & his Council of Canadian Academies frac review panel? The Supreme Court kicks off its winter session with a far-reaching constitutional case that will decide whether general statutory immunities enjoyed by government agents — including justice officials such as judges, masters and administrative decision-makers — shield them from claims for damages, or other personal remedies, under the Charter. The 21 appeals to be argued at the high court from Jan. 11 to April 1, 2016 cover questions such as: what is the proper approach to determining the standard of review when there is a statutory appeal from a tribunal (City of Edmonton v. Edmonton East (Capilano) Shopping Centres Ltd. March 23); what is the proper test to distinguish between the key concepts of “faulty workmanship” and “resulting damage” in comprehensive builders’ risk insurance policies (Ledcor Construction Ltd. v. Northbridge Insurance Indemnity Insurance Co. March 30); and what test should a sentencing judge apply to decide whether to accept a joint sentencing submission (Anthony-Cook v. R., March 31). At press time, scheduled for Jan. , however, was the constitutional test case of Jessica Ernst v. Alberta Energy Regulator which asks whether the general immunity in s. 43 of the Energy Resources Conservation Act (ERCA) is constitutionally inapplicable, or inoperative, to the extent that it bars claims for personal damages for free speech violations of the Charter. The regulator contends that s. 43 is a constitutionally valid limit on personal claims for damages under the Charter. 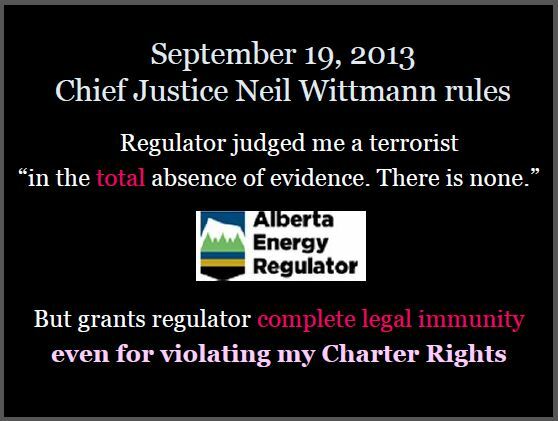 The Alberta courts below agreed, and struck out Ernst’s negligence and Charter claims. 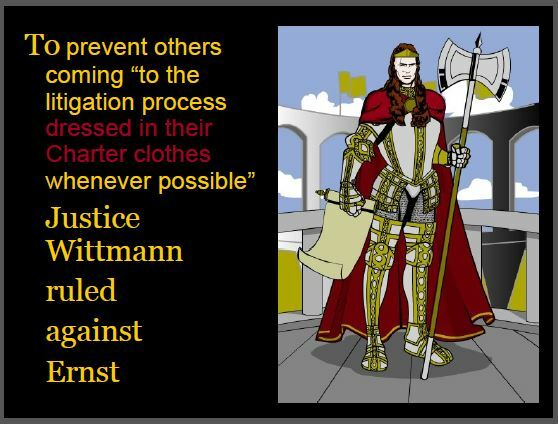 They ruled that although the Charter claims did disclose a cause of action and were not doomed to fail, the courts were precluded from considering them by the ERCA’s general immunity which says “no action or proceeding” may be brought against the regulator or its officials in respect of “any act or thing done purportedly” in pursuance of the ERCA. The Supreme Court’s decision is expected to affect the scores of statutory immunities at the federal, provincial and municipal levels protecting all kinds of state actors, including justice system players and law society benchers. 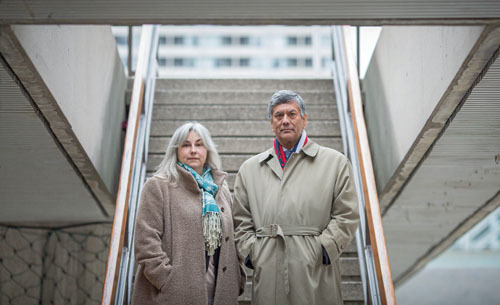 Anand’s co-counsel, University of Toronto law professor Cheryl Milne, said “pre-emptive strikes” against Charter remedies by governments at the pleading stage too often bar potentially viable claims from trial. “I’d like to see [the court] interpret, and view, this legislation in light of a significant access to justice issue,” Milne said. “Tribunals such as the AER, which owe only public duties, must not be inhibited by the fear of being held to account through private law remedies,” the regulator’s factum argues. (Counsel declined comment). Mandatory minimum penalties: Is the recently enacted one-year MMP for drug trafficking in s. 5(3)(a)(i)(D) of the Controlled Drugs and Substances Act grossly disproportionate such that it violates the Charter’s s. 12 guarantee against cruel and unusual punishment; and does the B.C. 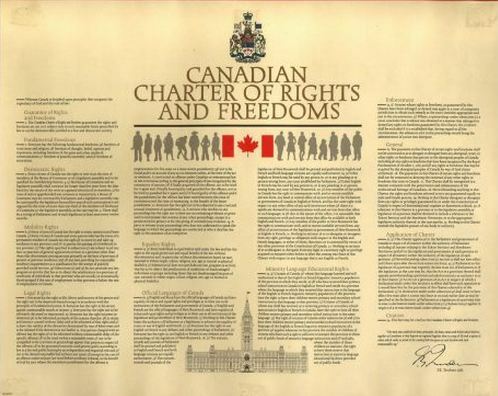 Provincial Court have jurisdiction to strike down legislation if it breaches the Charter? Lloyd v. The Queen (Jan. 13). Judicial Review: The appellant lab technicians at Mission Memorial Hospital in B.C. were denied workers’ compensation for breast cancer, which they contend was caused, or contributed to, by on-the-job exposure to chemicals. Among the administrative law issues: Is the appropriate approach of the courts on judicial review of findings of fact by an administrative tribunal to determine whether there was evidence capable of supporting the findings, or to go further and determine also whether such evidence was sufficient? Does the common law power of an administrative tribunal to reopen an appeal to cure a jurisdictional error or defect include the power to cure an unreasonable, or patently unreasonable, error? Workers’ Compensation Appeal Tribunal v. Fraser Health Authority et al. (Jan. 14). Text messages as evidence: Were text messages that confirmed the testimony of an unsavoury witness at a manslaughter trial inadmissible as hearsay? Seruhungo v. The Queen (Jan. 15). Judicial independence: Are 2004 legislative changes to the pay, working conditions and pensions of some justices of the peace in Quebec an unconstitutional violation of judicial independence? Conférence des juges de paix magistrats du Québec v. Attorney General of Québec (Jan. 18). Unjust dismissal: In a case affecting the job security of hundreds of thousands of federal workers, a fired Atomic Energy of Canada employee is appealing the Federal Courts’ ruling that federal employers may lawfully dismiss employees without cause under ss. 240 to 246 of the Canada Labour Code, provided the severance required by the Code is paid: Wilson v. Atomic Energy of Canada Ltd. (Jan. 19). Infanticide: Under the Criminal Code, a mother who has intentionally killed her child within a year of its birth can escape a murder conviction and instead be convicted of infanticide — if there is some evidence that her mind was disturbed due to giving birth or lactation. The appellant Alberta Crown asks the court define what “disturbed mind” means in the context of a case where the accused, after giving birth, wrapped the baby in a towel, put it in a plastic garbage bag, and disposed of it in her apartment’s dumpster. Over three years, she did this to three babies — only one of whom survived: R. v. M.K.B. (Jan. 20).